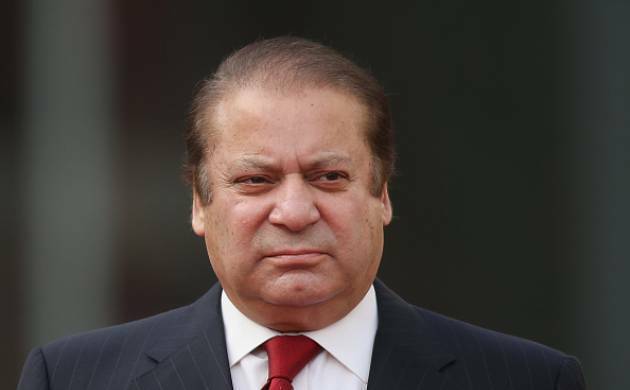 Pakistan will give a “befitting response” to any “ambitious and reckless move” by its enemies, Prime Minster Nawaz Sharif on Wednesday warned as he witnessed a military exercise in a strategically located area in Punjab province, bordering India. “Exercise Raad ul Barq (Strike of Thunder) establishes that Pakistan is ready to confront any ambitious and reckless move by its enemies,” Sharif said addressing a ceremony marking culmination of military exercise in Khairpur Tamewali in Bahawalpur in Punjab, amid growing Indo-Pak tension. “These exercises reflect the preparedness of our armed forces to respond to any threat to national security,” he said, adding that no country can remain oblivious to threats to its national security. According to officials, the Prime Minister was the chief guest at the event which was also attended by powerful Army chief General Raheel Sharif, Chiefs of Staff Committee General Rashad Mahmoud and the three services chiefs. JF-17 Thunder fighter jets, helicopter gunships and Al-Khalid tanks hit designated targets on the ground during the military exercise, which comes just days after seven Pakistani soldiers were killed along the LoC. Sharif said his government is committed to following a policy of non-interference in other countries’ internal affairs and expects the same from others to enable lasting peace in the region, Radio Pakistan reported. “We cannot remain detached from recent developments in the region. Efforts to harm security and territorial integrity will be met with befitting response,” Sharif said. Referring to Jammu and Kashmir, he said it remains the core issue of contention between Pakistan and India. “It must be addressed in a sincere and comprehensively manner in keeping with aspirations of Kashmiri people and relevant UN resolutions,” Sharif said. “The brutal tactics used to curb recent spontaneous and indigenous movements in Jammu and Kashmir have been counter-productive...Killing of civilians and soldiers along the LoC is another act of aggression that warrants international attention,” he added. “The situation at the border remains sensitive due to India’s grave violation of the ceasefire agreement,” he said. “It is extremely unfortunate that South Asia remains prone to confrontation and the security situation remains fragile,” Sharif added. The Prime Minister said enemies of Pakistan have made their intentions well known. He said terrorism is aimed at Pakistan’s destabilisation and the nation and armed forces are successfully countering their malicious designs. Sharif said yesterday that Pakistan cannot be bullied by Indian “tactics” and its restraint should not be “misunderstood” as weakness, warning that his country was fully capable of defending against “any belligerence”.